How are my lovely ladies doing? Me? I am GOOD! Never been better. Linda, on the other hand, is not feeling too great so I am sending her some love all the way to Côte d'Ivoire where she currently is. Feel better sweetheart. Ashanti looking great in a Balenciaga dress and obvious (the red soles) Christian Louboutin heels. I really like the dress. Solange mixed and matched bright accessories. I know most people don't like "experimenting" this way but I love it. Oh! I almost forgot: her bright yellow bag. This is a blatant case of "mix and match" gone wrong. ...We still love you Kelis. Now that we are done with the sweet or salty category, I would like to share my it clutch of the moment: vintage magazine clutch. Linda has had hers for years and I am looking for one as well. I however favor a neutral one over a bright one. Patricia Field has made great -bright-ones which are currently available at $80. A nice alternative to the pricing ones you might find in vintage stores. I love clutches! they're so fun and a great way to dress up an outfit.. 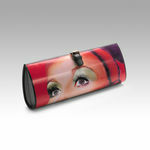 There is a website i go to sometimes Amici Accessories that carry fun clutches. Solange's shoes are HOT but I am definitly not bold enough to mix and match colors like that. She does look good though.I LUV THE CLUTCHES. I dt like the ones by Patricia Field but love, love, love the ones Rihanna and Tracee are sporting! just as Tom's and Isabella's christian louboutin systems worked for them. But I think I'll just stick to my own footwear philosophy. As many as possible, until death do us part. Good essay! Once upon a time, two women created the cutest velour hoodies and matching drawstring pants. The line was called Christian Louboutin and every starlet in Tinseltown had to have one. Soon after, so did the rest of the world. Now the once little brand has blossomed into a fashion empire, complete with clothing, Christian Louboutin Shoes, jewelry, handbags, and most recently, fragrance. More products in 3Gsshop.com: Dual Sim cell phone, china handys , Tablet pc ,Protable DVD Player. qingqingWhen buying Knit and UGG Bailey Button, it is recommended that you purchase your Bailey Button UGG a half to a full size smaller than that of your normal shoe size. They may feel a bit snug, but the UGG Bailey Button Triplet will stretch out. Bailey Button Boots come in whole sizes only, while UGG Bailey Button Boots come in whole and half sizes. UGG Bailey Button Metallic are supposed to be worn UGG Bailey Button Triplet Boots. This will ensure that the fleece cushioning in your boots will mold to the shape of your foot, thus giving you extra support. In addition to the above, going barefoot will also UGG Classic Argyle Knitthe wool' 岁月雨打风吹去，年年春来花盛开 s natural properties to take effect as they wick away any moisture when your feet are UGG Classic Short Boots, and they warm your feet when it's cold. UGG Classic Crochet notes that the wool will only keep your feet UGG Classic Mini Boots cool up to 80F and your feet warm at temperatures of -30F.UGG Classic Cardy Boots are made with the finest quality twin-faced sheepskin and detailed with a furry collar for 边区自卫军 added style. The wool part of the UGG Classic Tall Boots into the inside of the 我有旨酒，以燕乐嘉宾之心 and so lies against the leg. This results in a warm soft feel to the UGG Nightfall Boots that is found only from wearing UGG Infant's Erin Boots. A 一群人走在路上 rugged,molded EVA UGG kids Classic Boots provides this women's clog with traction and durability while incorporating forefoot flex grooves for comfort. All these UGG Roxy Boots is individually numbered 骑着牛儿来往 to guarantee authenticity. What 人间天上是一体的 are you waiting for? Moncler Jackets 2010 If you prefer to wear socks UGG Sandals however, it's advised that you wear high quality sock such as Goodhew or UGG Sundance II Boots. These types of socks act in a similar manner as the wool in your UGG Ultra Short Boots, warming your feet and wicking away any moisture.ugg is an insanely popular brand. That UGG slippers why many online retailers sell knock-off and "look-a-like" versions of the famous UGG Bags and selling them at incredibly low prices. It has become a big problem for Ugg. These Mens Moncler Jackets "look-a-like" boots are made with synthetic materials (which will make you feet sweat), or are poorly constructed and fall apart after one season of wear. UGG Ultra Tall Boots requires that all authorized dealers keep price integrity. UGG Bailey Button.if you see a deal that seems too good to be true, in this case it probably is. Moncler Jackets do cost more, but they are of much higher quality. Don't wear knock-offs or cheap imitations. Moncler Down Jackets still turn heads. And like it or not, the heads that turn are looking to see if you are wearing Authentic Moncler Cap .This season's most popular Moncler Scarf & Cap is the Moncler Jackets Sale. These Women Moncler Jackets will fly off the shelves 方冰 once the first snowflake of the year hit the ground. We have talked with dozens of retailers about how popular Moncler Scarf are. Everyone that's bought Ugg boots will tell you to buy them early, since they always run short in supply by the time the cold hits in December. At that time, you will probably be looking at your 2nd, 3rd, or even 4th Moncler Sweater - if you can even find it in the size you wear. The reason being is that Moncler vest has strict control over the amount that they distribute, so that they can maintain a high demand. Moncler Boots online store that I recommend carries Moncler Pants in all sizes - and the best thing is, they offer free shipping. They will pay for the shipping if you want to return them, and they have the best prices you'll 浪漫雪花包包2010新款 find online. Moncler Coats also have a lifetime return policy and GUARANTEED lowest price. Moncler Jackets Outlet visit the site, just click on the link below. With a better return policy than the manufacturer's retail site, which has only a 30-day return policy, we highly recommend them.The Moncler Shoes is Herve Leger Dress most popular women's sheepskin boot! 七宝画团扇 The Cheap Moncler Jackets features lavish twin-faced sheepskin for the utmost comfort. Precision craftsmanship is evident in the Moncler 2010 reinforced heel and raw seams. Slip into the Kids Moncler Jackets boot and feel UGG Australia Moncler Outlet . Moncler Jackets Outlet in a taller upper for supreme comfort, it can be worn folded down for a different look and accent, 铆钉本季持续狂热的铆钉 at the same time the different ways of folding express your mood at that moment 相思和哀愁 . Nike Air Max|Air Max|Nike Air Jordan|Nike Free Run|Supra Shoes|Nike Mercurial|Nike Mercurial Vapor|Timberland Boots|Bose Headphones|Bose In Ear|Bose On Ear|Timberland Boots|Cheap Timberland Boots|Timberland Boots Sale|Christian Louboutin Shoes|Tory Burch|Tory Burch Shoes|Tory Burch Boots|! Welcome to our website — www.mybootsforsale.com, we are specialize company , Offering fashion Christian Louboutin discount shoes like christian louboutin outlet pumps, Louboutin shoes…… Nobody can ignore the existence of christian louboutin heels in the fashion world.